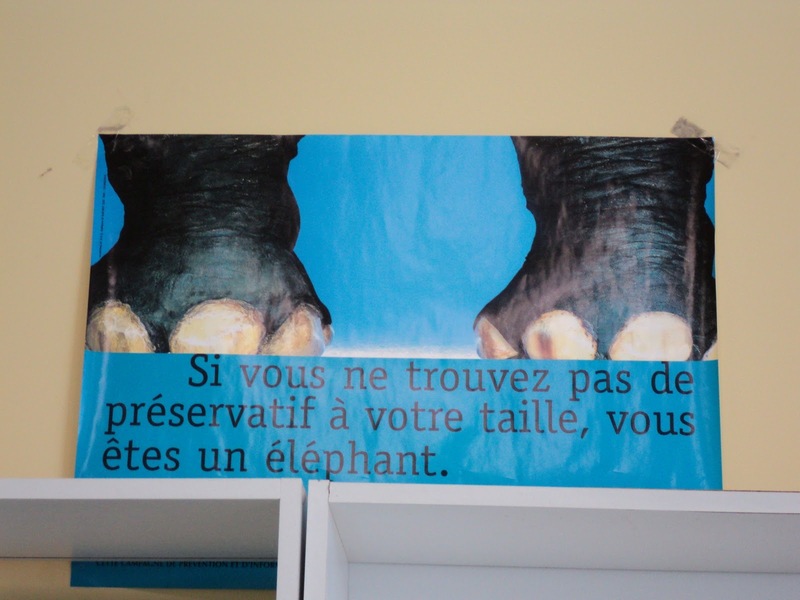 Translation: If you can't find a condom in your size, you're an elephant. Ummm... what exactly is it that you teach, Kelly??? It's on the wall in the room where I take my French class... I was pretty shocked! I Can Haz Fromage Burgers?